In 1950, Gene was named one of "America's Ten Best-Dressed Men." 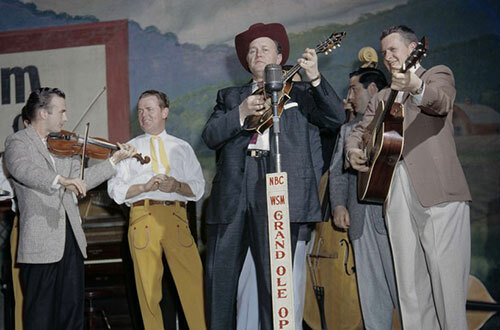 We're excited to share the PBS debut date for the new Kens Burns' film "Country Music." Mark your calendars for Sunday, September 15 at 8/7c. Hundreds of artists, including Gene Autry, will be part of this 8-part film. From heartbreak to honky-tonk, hear the remarkable stories of the people and places behind a true American art form. The date was announced by the producers of the documentary series at Television Critics Association conference in Pasadena, CA. Variety was there and shares the details in this article. Get ready for a grand ole doc'ry. Country fans have been thirsty for years just to get a release date for, much less see, Ken Burns' characteristically epic documentary on the genre. 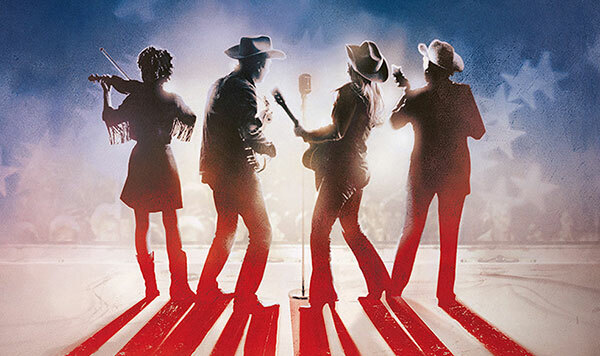 A delivery date for "Country Music" was finally provided Friday in PBS' presentation for the film at the Television Critics Association conference in Pasadena: It'll air across eight nights in the Sept. 15-25 time frame. And you know you're a true country fan if you look at the details unveiled about the doc and your first response is: Only 16 hours? 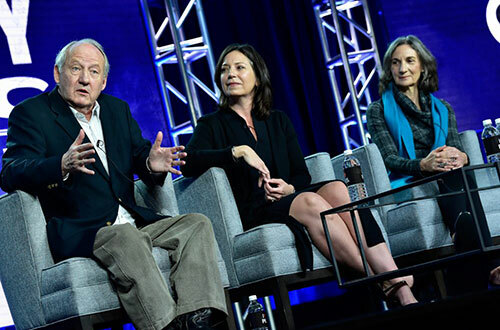 "Sixteen and a half," corrected writer/producer Dayton Duncan, one of Burns' longtime filmmaking partners – happy to have snuck even a few extra minutes in – as he spoke with Variety after the TCA panel. The only way to get it down to that length was by cutting off the history the film covers in the mid-1990s, with the rise of Garth Brooks, and avoiding the subsequent two and a half decades of changing trends and new superstars. Unlike some of Burns' earlier projects, there'll be a limited amount of sepia, and an even more limited number of on-screen historians. Only one scholarly author of the country realm was interviewed for the project (Bill Malone). Country breeds its own avid historians among its most thoughtful artists, so most of the talking will be by familiar faces discussing their forebears as well as themselves – among them, the late Merle Haggard, Kris Kristofferson, Willie Nelson, Dolly Parton, Dwight Yoakam, Vince Gill, Reba McEntire, Rosanne Cash, Emmylou Harris, Ricky Skaggs, Brenda Lee, Naomi and Wynonna Judd… and, of course, the artist who could give an impromptu lecture on country history in his 16-hour sleep, Marty Stuart. "We made it clear to some of the people who appear in our film as commentators – like Dierks Bentley, Ketch Secor of Old Crow Medicine Show and Rhiannon Giddens – that they're too damn young for us to cover their career," says Duncan. "But they were gracious to tell us about the other generations that precede them and their influences." "We did 101 interviews, which is maybe 175 hours of interviews," said another producer who shepherded the project, Julie Dunfey. Of those 101, 40 were Country Music Hall of Fame members. Also of those 101, 17 have passed away since their interviews were filmed over the last seven years – that's according to a press release PBS prepared for the project. At Friday's panel, though, they gave the number as 18. If you're a country fan, you know that discrepancy wasn't a mistake. The 18th, Dunfey confirmed, was Harold Bradley, who died Thursday. "When the great stories fall off (in the editing process), I start to cry," said Duncan. "Ken pats me on the back and says, 'You can use it in the book.'" That would be the Duncan-penned "Country Music: An Illustrated History," a 464-page book with more than 400 photos, which Knopf will issue Sept. 10. A lot of footage from the unused 160 hours of interviews will also appear on the film's website and eventual DVD, for deep divers. Plenty of ancillary products and events are being lined up. Sony Music announced plans Friday to release companion albums this fall, although their content what form they'll take is being held in check. What's up first is a concert set to take place March 27 at the Ryman Auditorium, the venue that was home of the Grand Ole Opry from 1943-74 (and still hosts the venerable show during winter months). That'll include Bentley, Giddens, Cash, Gill, Skaggs, Stuart, Yoakam, Asleep at the Wheel and others playing vintage songs – and maybe a few of their own – for a special that will air in conjunction with the documentary in September. The Ryman concert will be preceded by a promotional bus tour that Burns and the producers will take from Bristol, Virginia through Knoxville and Memphis on their way to the Mother Church. In what significant ways does "Country Music" differ from "Jazz," Burns' last large-scale musical triptych? "There is a difference in the commercial trajectory of the two," says Duncan. "The swing era of jazz, that was one of the most commercially popular formats of music, and over time, that shrank and shrank. For country music, it's sort of gone the opposite way. I don't think one is necessarily better than the other because of that, but that's their historical trajectory over the course of what we're following, and we tell the commercial story of country music more than 'Jazz' did. "What will be the same," Duncan adds, "is that there are still people pissed off if their favorite jazz artist didn't get the attention that either the artist or fans of the artist believe they should have gotten. I'm not naïve – that is going to happen with this. Because we can't tell everybody's story. It would become a K-Tel commercial. And for every person whose story we tell, there are five or six whose stories are not going to be told. Every song we didn't do, that's going to be somebody's favorite song. And I'm just going to tell everybody that it's Ken's fault," he quips. Sally Williams, SVP of Programming & Artist Relations and GM of the Grand Ole Opry, which is partnering with Burns' team on the ancillary concert special, chimed in. "I'm going to hear about a lot of those things, too," she said. "And I'm going to tell people that this is going to drive the discovery not only of music that is in the film, but interest in discovering music that's outside the film. That's going to be my response when people come to me about it, because I believe it." "Okay, well, I'll just do call forwarding to you," laughed Duncan, "starting about Sept. 16!"